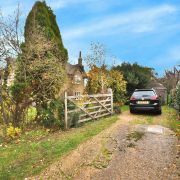 Situated in the wonderful village of Waresley is this rarely available and most charming Grade II Listed end of terrace thatched cottage filled with characterful features throughout and pleasant field views to the front and rear. Call to view today! 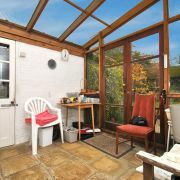 Rarely available for sale is this charming Grade II Listed end of terrace thatched cottage filled with wonderful characterful features throughout. 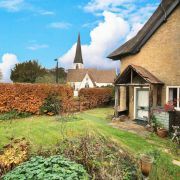 Overlooking the village church to the front and open fields behind, internal viewing is highly recommended to appreciate the history this rather special dwelling has to offer. In brief, the ground floor comprises sitting room, dining room open-plan to fitted kitchen, covered lobby area, store room and utility area. 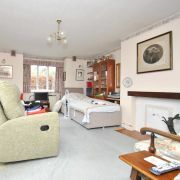 Upstairs provides two double bedrooms, spacious landing with a pleasant outlook to the rear and a shower room. 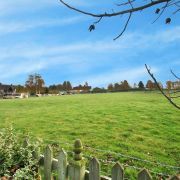 Externally, there is a driveway to the side providing off road parking for two vehicles and a barn style tandem garage with delightful wrap around country cottage gardens which are well stocked with a variety of mature plants, trees, shrub borders and of course those wonderful field views. 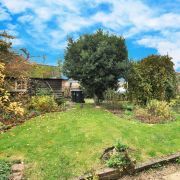 Originally build circa 1847 the property is in need of some cosmetic improvement which offers the right buyer plenty of scope to stamp their mark and by doing-so adding value in the process. We have been informed that the current rate of council tax is Band B. 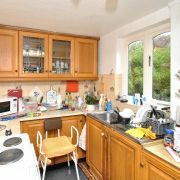 Our client has already secured a property to move to with a completed forward chain so is highly motivated and is prepared to vacate as soon as the legal work can be finalised. Please note: These draft particulars have yet to be approved by the vendor. A floor plan including room dimensions will be added to these details in due course. 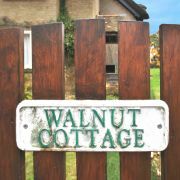 Waresley is a lovely little village with a caring community, active Church, excellent Cricket Club and wonderful Garden Centre which also runs a farm shop. 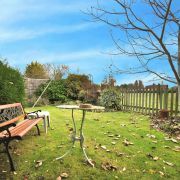 Although fairly rural the property is within 7 minutes’ drive from Sandy train Station with regular services into London’s Kings Cross. These particulars are set out for guidance only and do not constitute or form part of an Offer or Contract. Any services, equipment, fitting or central heating systems have not been tested and no guarantee is given or implied that these are in working order. Purchasers are advised to obtain verification from their solicitor or surveyor. Fixtures, fittings or other items are not included unless specifically described. All measurements, distances and areas are approximate and a general outline only. Although the information contained within these details is believed to be correct, it cannot be relied upon. Prospective buyers are advised to check for any particular purpose.